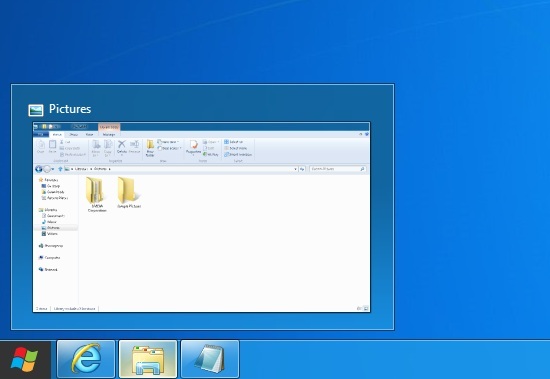 There is a tool for Windows 7 and Windows 8 that lets you customize your task-bar thumbnail preview size and more in Windows 7 and Windows 8. With it, you can change almost anything on your task-bar thumbnail previews. This tool makes it safe and easy to change the size, spacing, and more of your task-bar thumbnail previews. Since you can always revert to the default settings, you can experiment without fear of messing up your computer. Download the Windows 7 Task-bar Thumbnail Customizer, and unzip the files. Run the Windows 7 Task-bar Thumbnail Customizer when you’re done. Simply double-click on it; No need to run it as administrator.Now you can even watch a video from your task-bar thumbnail.